Still want to make a retrospective care fees claim? 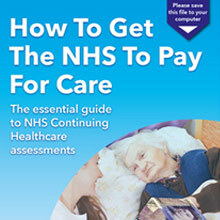 There are clear guidelines about how NHS Continuing Healthcare assessments should be carried out. Assessors are obliged to use a strict set of assessment ‘tools’ and to assess your relative’s health needs against national minimum eligibility criteria. They are also obliged to follow case law. The NHS also has a responsibility to ensure that assessments of eligibility for NHS Continuing Healthcare – and its provision – take place in a timely and consistent manner. In practice, however, there are often frustrating delays and appalling maladministration in the process. Even if you’re not sure if your relative will be found eligible for NHS Continuing Healthcare it’s nevertheless important to get the ball rolling. It’s also a specific duty of the NHS to assess your relative, in the sense that if your relative has primarily health needs, the NHS should be paying. 1. You should be given a date and enough time to prepare for an assessment. If you can’t attend on the date given, you can ask for an alternative. It’s vital that you attend if your relative is to have any real chance of securing NHS funding. 2. If a relative or friend can attend the assessment with you, it’s a very good idea. You’ll have a second pair of ears and eyes – and you are entitled to take someone with you. 3. You need determination – because health and social care bodies will defend their budgets aggressively and many families report that the NHS and local authority may do this regardless of whether their actions comply with the guidelines and the law. 4. The more money that’s at stake, the more likely the NHS is likely to dig its heels in. So, be very clear about what you expect to achieve. Be bold, be vocal and be persistent – and don’t take no for an answer. 5. No health or social care professional is likely to know your relative as well as you do. That’s why you play such a vital role in any assessment. Start pulling together as much information about your relative’s health and care needs as possible. 6. As you may quickly discover, when you’re dealing with the NHS and the local authority, you may find yourself having to provide facts and information about your relative’s health that you would normally expect to be in their general medical or care notes. Never assume that people already know this information. The reality is that you will often have much more accurate information than the people who are involved in your relative’s care and in their assessment. 7. A full assessment for NHS Continuing Healthcare should be carried out by a multidisciplinary team. It may be largely up to you to make sure that the right people are actually going to attend. because, sadly, there’s no guarantee otherwise that it will be done. 8. Keep a record of what happens at every stage of an assessment – including before and after. What should happen in theory and what actually happens in practice are not always the same thing. Keep a note of any maladministration, as it can count in your favour in further appeals down the line. Procedure is key – and if an assessment is not done correctly, the NHS will have to do it again. 9. Keep a dedicated diary from day one. You may not realise how much you’ll rely on it at the start, but it will be extremely useful when you come to appeal any denial of NHS funding. 10. Record of all dates and times of appointments, meetings, phone calls, copies of letters and reports, conversations with staff from different organisations – and what was discussed – plus views from any therapists – everything. It will be invaluable. 11. Keep notes about your relative’s state of health: how they are and how their health is changing; things your relative says and does and any changes in character, behaviour or mood; any specific needs; things you notice about their overall health and disabilities; information on their skin, pressure sores, weight, mental clarity, speech and communication skills, hearing, sight, sleep, personal hygiene, oral hygiene, mobility and hoisting needs, ease of eating and drinking, nutritional and water intake, swallowing problems, appetite, risk of infections, continence, flexibility of joints breathing, hallucinations, medication (and its unwanted effects and impact on other things); anything unpredictable or complex, plus any general and specific risks – everything. Also, note how well they understand things and can make decisions. This might sounds daunting – but just approach it bit by bit, for example each time you visit them just jot down some notes, including about conversations with care staff that you might have had. 12. Ask questions – as many as you need to ask. If you don’t get a reply, ask why not. Don’t agree to anything if you haven’t had answers to your questions. If someone is reluctant to give you an answer it could be because the information you’re asking for will help you in a way the NHS or local authority doesn’t particularly relish. 13. If you ask for any information and you’re told it’s ‘not available’, make a note of that – what you were asking for, who you spoke to, when you spoke to them and what their reason was for it being ‘unavailable’. 14. Where possible, go along to your relative’s general medical appointments and take notes. Without attending these it’s more difficult to gather the evidence you need to fight your corner. Ask the physician or whoever you’re seeing to summarise his/her view/findings in a letter and send a copy to you. Be careful with this though – it’s vital that the physician understands why you’re asking and that the words they write support your relative in terms of the eligibility criteria for Continuing Care. A GP, for example, might write a summary, and yet what they’ve written doesn’t highlight the kinds of things the Continuing Healthcare assessors will actually be looking for. In such a case the summary could do more harm than good. Once you’ve read more about the Continuing Healthcare eligibility criteria, you could offer to draft something for your GP to simply sign, assuming they’re happy to. 15. Get hold of your relative’s care home care plan and the daily care notes. This also applies to care from a home care provider. Check the care plan and care notes regularly for accuracy and scope. Many people find the notes don’t give an accurate picture of health needs, and you may need to take this up with the care provider. Bear in mind that the NHS will use these notes as part of their funding decision making process. 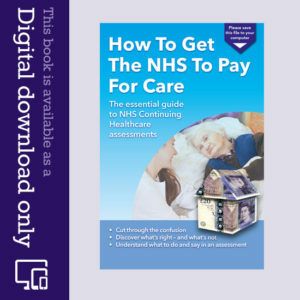 Y ou’ll find lots more helpful tips on preparing for an assessment – what to do and say, what not to do or say and how to avoid the pitfalls – in our ebook, How To Get The NHS To Pay For Care. I am right in thinking this all wrong? The Checklist has already been done and we have a copy of it (incomplete and poorly done) so they have now gone ahead with the Multidisciplinary Team (MDT) meeting without involving or telling us. In my view they can sing for my signature. I won’t be signing anything I wasn’t apart of and I am certainly not doing it by Tuesday. Is my assessment of the current situation correct? What should I do next? 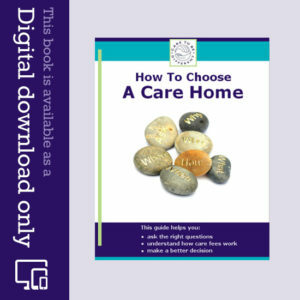 Hi – Would anyone know if CHC do direct payments like the L/A for care at home? My father is terminally ill with lung cancer (non-smoker!) with complications from stroke 3 years ago and subsequent TIAs, etc. On hospitalisation for infection, he was assessed under the Fast Track Pathway and eligibility confirmed as identified primary need with ‘wake-in’ nights and three visits per day funded at home. This was reduced from 7 to 4 nights after review just 10 days later and is now being reviewed again (3 months later) because, although his condition continues to deteriorate, he has not died. My parents have funded additional care. We don’t think the review should be happening. Any pointers would be welcome. I am finding your book eye opening, it is giving me a much better insight, I would recommend it to anyone . Thanks very much, Barry. I’m so glad it’s helpful. Can i just give a brief description of my situation, my wife is in the late stages of Alzheimer’s and i am her 24/7 carer. She can be aggressive, she is doubly incontinent can just about weight bare if supported, no cognition a waterlo score of 20 (high risk) dysphagia, no communication, has an inhaler for breathing she has to be spoon fed and all her medication is oral suspension, and so it goes on. What i am having difficulty with is establishing what a health need is. Would you be able to give me say 10 examples of what constitutes a health need as i am going once again for CHC funding. They said last time that as a person’s health deteriorates there health needs diminish and they become more social. i can find no evidence for that statement anywhere. The other thing they came up with is the four Characteristics. Would you have any examples of them i could use? The scores we got last time were Behaviour severe, cognition Severe, Psychological Moderate, Communication High, Mobility High, Nutrition High, Continence Moderate, Skin Moderate, Breathing Moderate, Drug Therapies High. Everybody i have spoken to has given up. The Commissioning Support Unit have asked me to obtain the care home records for my mother in law. They have not been able to obtain them. I believe I can obtain them. Should I then pass them on to to the Commissioning Support unit? Or will it be more power to us with our retrospective claim for refund? It sounds as though the CSU is being lazy in asking you to do their work for them! If you do get hold of the records, you may want to take a copy of them before you pass them on, as the content can help you in any correspondence or arguments you need to send or make. At a recent meeting with the Elderly Discharge Service personnel, having seen a copy of the Checklist prepared by the Ward Sister – which I signed and returned the same day, Sunday! I asked for a copy prior to the MDT meeting on the Tuesday, and was repeatedly refused. Is this correct ? Secondly, I was told that I can only attend the meeting by invitation – I have LPA for my wife who is the patient with Dementia. I challenged this response, and said I was legally able to be present and didn’t need invitation. Am I correct? Yes, if you’re acting for your wife as LPA you should be fully involved and have access to the assessment notes. You can simply tell them you will be there – and you expect to be kept fully in the loop and be informed of the dates and times of any subsequent assessments. Information on How to prepare for an assessment from C.H.C., is excellent. Thank you.